In this series, we have been exploring how a forensic investigator can find evidence of illegal or illicit activity. Among other things, we have examined the registry and prefetch files for artifacts and have done some rudimentary forensic analysis. For those of you who are seeking career as a forensic investigator or security engineer, this can be invaluable training. For hackers, it might be life-saving. 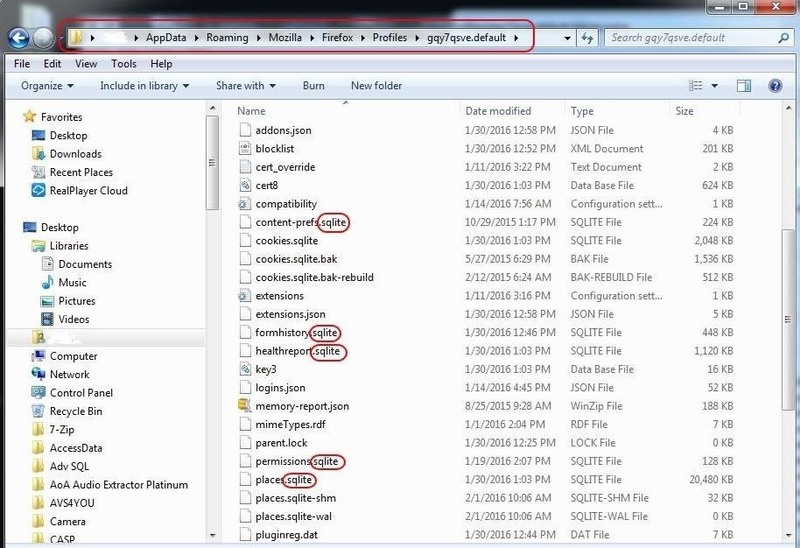 In this tutorial, we will explore where and what the forensic investigator can find information about the activities of the suspect in their web browser. It's important to note that this information will vary by operating system and browser. Here we will look briefly at Internet Explorer and go into a bit more depth on Mozilla's Firefox. Let's begin with Microsoft's Internet Explorer. It is installed on every single Windows system as the default browser (except on newer versions of Window 10 where Edge is default, though IE is still installed), so it is widely used. In many institutional and corporate environments, it is the only browser allowed. IE places its records in different places depending upon the version of Windows. Let's look at its recent versions since 2000 first. We can get evidence of the user's internet activity in the following locations. Click or tap on image to expand to full size. With Mozilla Firefox and its many variations (Iceweasel in Kali is one), most of the information is stored in SQLite databases. We can find those databases at different locations based upon the operating system. Below is the path to the database in Windows (XP, Vista, and 7), Linux, and Mac OS X.
Mozilla uses a relational database to store the user's data, which has a structure like that below. You will see many files ending with "sqlite." 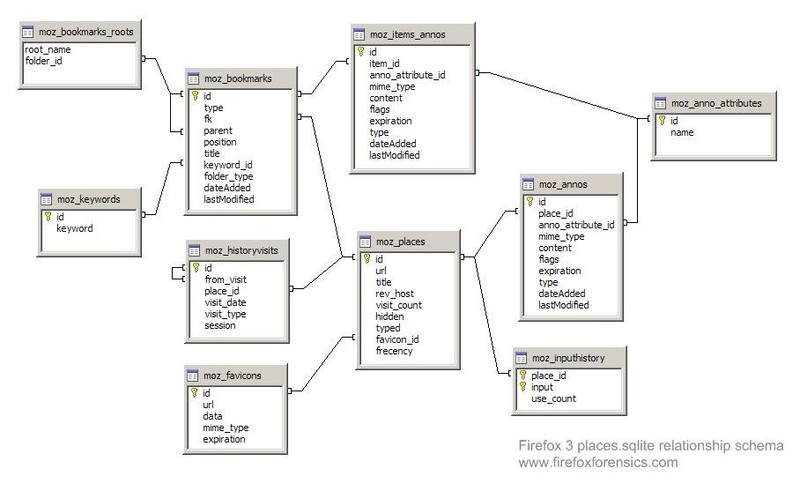 These are the database tables that Mozilla uses to store the information on the user's browsing activities. 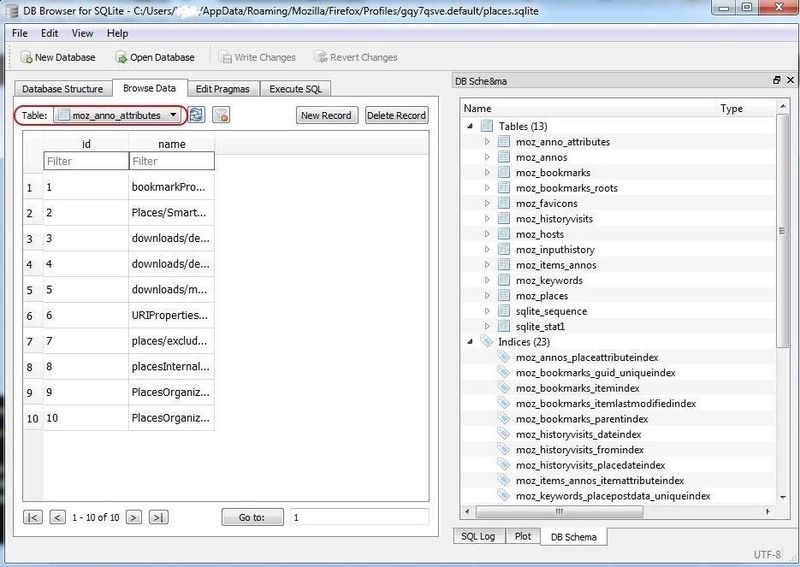 Let's open that database in the SQLite browser. Next, click on the "Database Structure" tab to the far left. In the screenshot below, we can see all 13 tables in the database. Note that each table name begins with "moz." 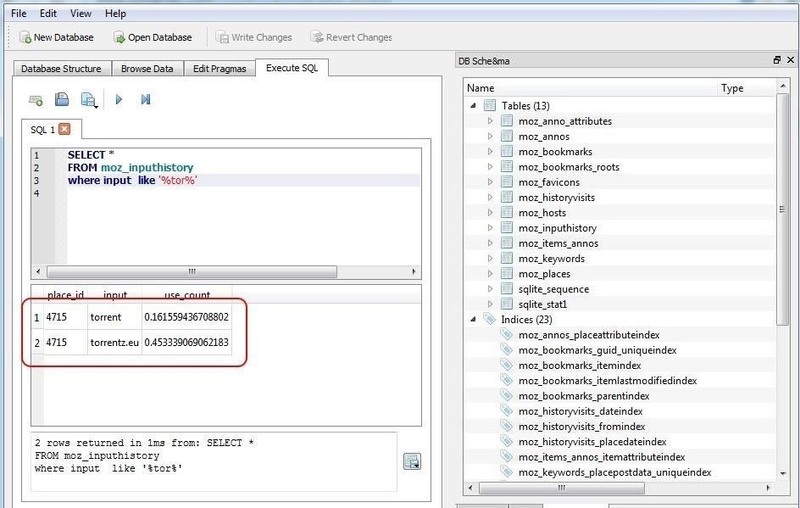 If we click on the "Browse Data" tab, the SQLite browser will display the data in the table we have selected. 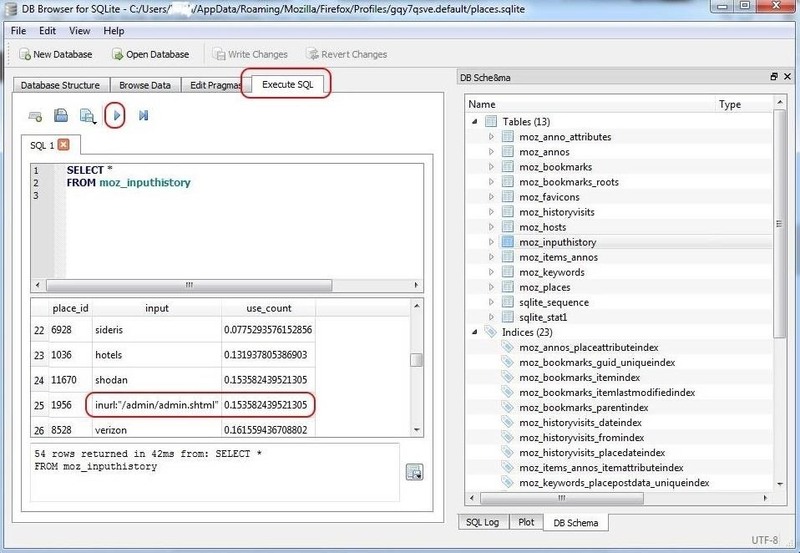 In the screenshot below, we are looking at "moz_anno_attributes." Now that we have a basic knowledge of the database structure, let's use some simple SQL queries to find specific and relevant data to our investigation. To effectively use the SQLite browser to find eveidence, you need to know some basic SQL syntax. Take a look at my article on SQL in my database hacking series here. As you can see, the suspect was typing some suspicious Google hacks using the keyword "inurl" and looking for admin directories. Hmm... we may be on to something here! This query will provide us all columns (SELECT *) from the input history table (FROM moz_inputhistory) where the typed input is like "tor" (WHERE input like '%tor%'). Note the wildcards (%) before and after tor. This indicates that we are looking for anything before tor and anything after tor. This query should provide us with results of any input by the user that has "tor" anywhere in it. As you can see in the screenshot above, we were able to find two occurrences where the suspect/user had input "tor." This may be enough evidence to prove that the suspect was actually looking for torrent sites, but we may want to dig a bit deeper to actually find the URLs of the sites in his places history (moz_places table). Keep coming back, my novice hackers, as we continue to explore the skills and techniques of the forensic investigator! Each browser is different. I'll do one on Chrome soon. Could this be used to find evidence of browser based attacks such as RFI? If so is there a way to prevent this evidence from surfacing, or at the very least getting rid of it? Yes, it can be used to find evidence of any browser based attack. 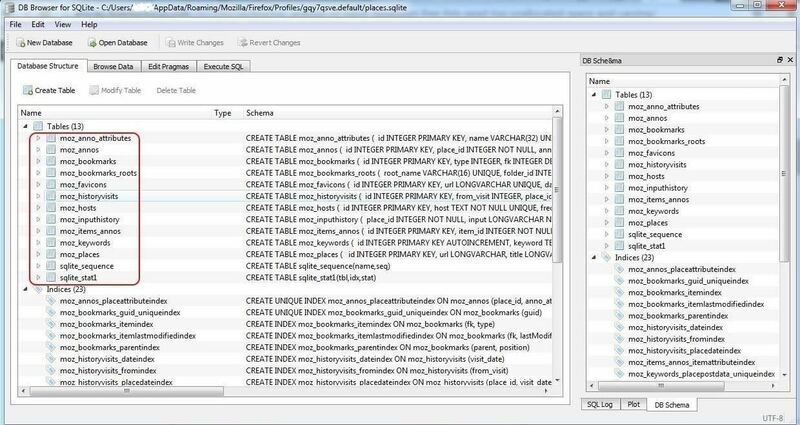 You can use the SQLite browser to delete the evidence. Great, but when it gets deleted, can it be recovered ? By a professional digital forensic man or a data revovering service/specialist ? What would be the preferred method of deletion for a hacker who knew what they were doing to cover their tracks? I assume on a Linux system, without having to install extra software, it would be the shred command, or bleachbit perhaps? But what about on Windows? A simple Ccleaner will do the Job. In that you have an option "wipe free space". It will delete files the from free space in entire hard disk . can we find stored passwords with this method? Does going into the browser's private mode prevents from writing the user's browsing information into these directories ?